UniSA’s Asia Pacific Centre for Work Health and Safety, previously known as Centre for Applied Psychology Research, is hosting the International Commission on Occupational Health’s annual congress. The congress will discuss Worker health: A basic human right for all, and will feature leading International and Australian experts. The congress will include both keynote speakers and workshops, allowing for wide-spread discussion and debate on the topic of worker health and wellbeing. Click here to view the Scientific Committee. Worker health: From research to practice. Adelaide is the beautiful capital of South Australia, with stunning beaches, award-winning wine and unique national landscapes like the Flinders Rangers and Kangaroo Island. 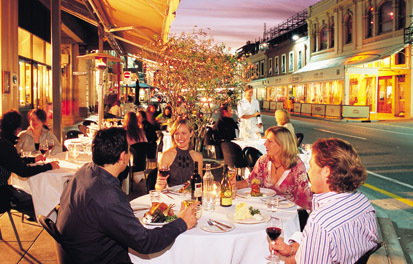 You can also explore more than 700 restaurants, cafés and pubs, serving food from around the world. South Australia is also the home of sixteen wine regions and more than 200 cellar doors, which are all within an hour’s drive of the city.